Don’t miss the ArtTrain on April 9th departing the station at 5:30pm. 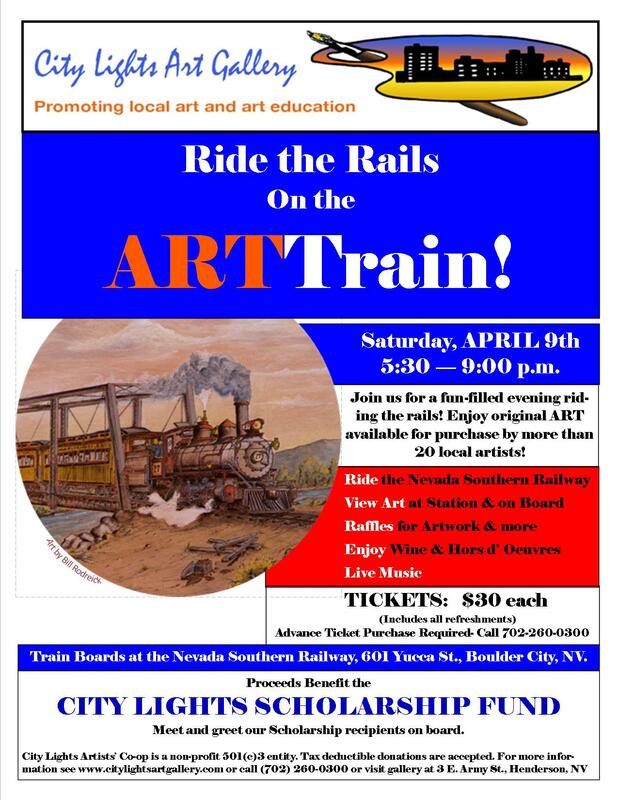 Sponsored by City Lights Art Gallery and it’ major fundraiser of the year, the evening includes a ride on the Nevada Southern Railway leaving the Boulder City Station (601 Yucca St.), great art, wine, refreshments, entertainment and beautiful views. Contact City Lights Art Gallery for ticket information at 702.260.0300. Tickets are $30. Advance ticket purchase preferred.